Description: We have finally been able to go back and photograph a fabulous kitchen that we were commissioned to design and build towards the end of last year. 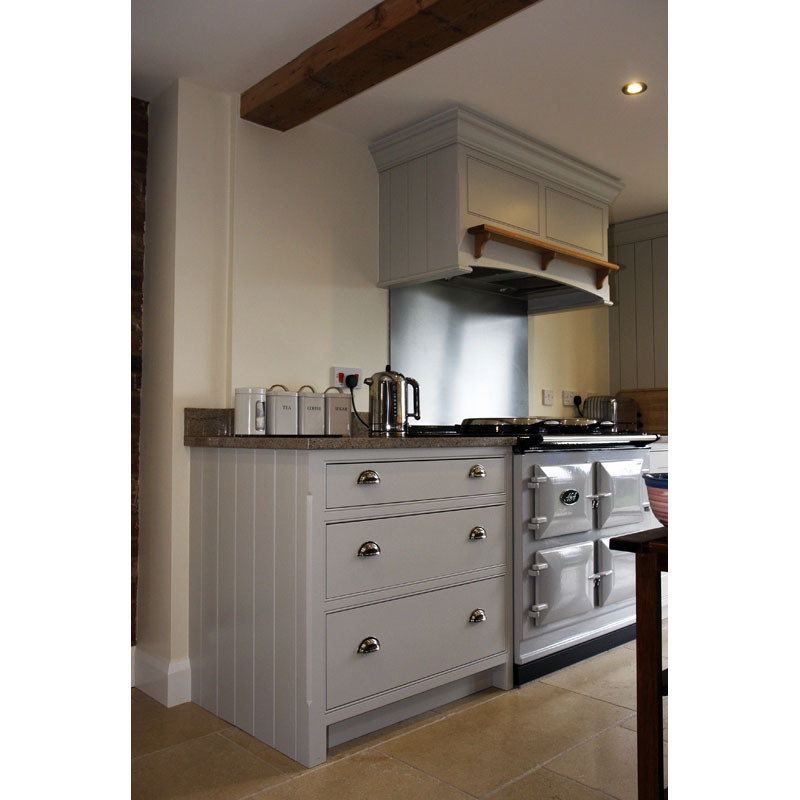 Our client asked us to design and build a fully fitted kitchen that worked with the low ceiling height, met their storage needs, and that fitted in with the design style that they liked. 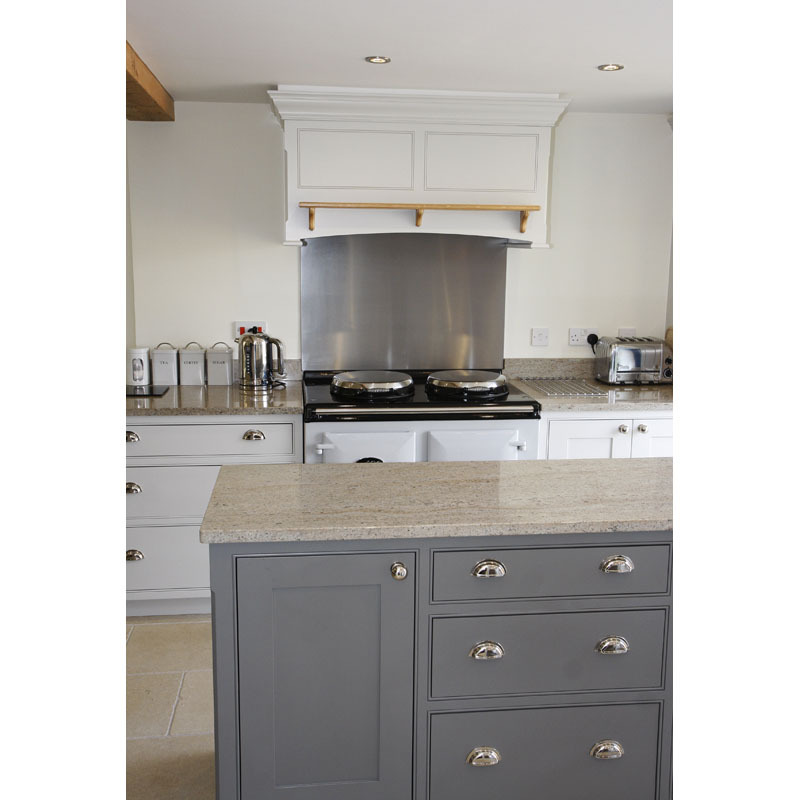 The kitchen would contain elements of Shaker style, but also look contemporary. 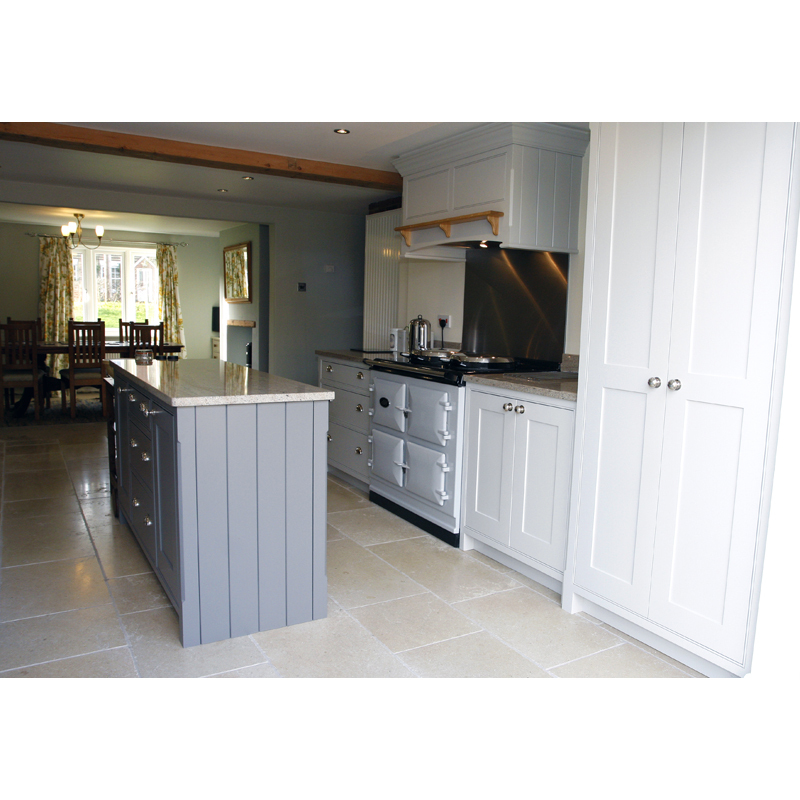 The installation of the kitchen is just one part of a long process of renovating an old Victorian house that belongs to our clients, and will be beautiful once completed. 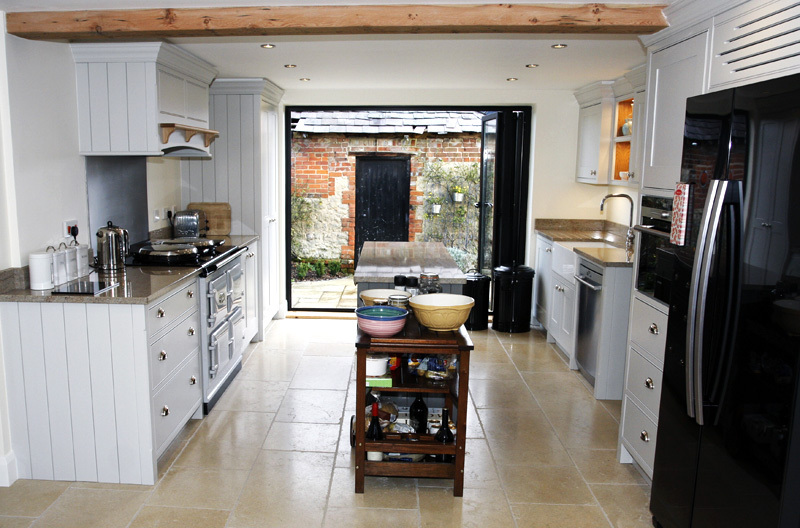 The whole wall window at the far end of the kitchen that can be seen in some of the photos is amazing! All visible side panels are solid, tongue and grooved, and made in maple. 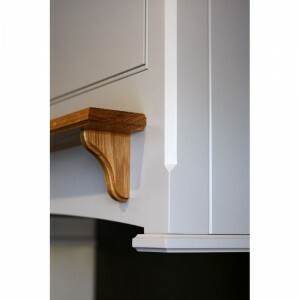 Chunky corner posts feature a chamfer relief detail, and all the face frames are built with mortice and tenon construction with beading detail around all doors and drawer fronts. The doors are in solid maple in a shaker style square edge design with 9mm moisture resistant MDF panels, on high quality, soft close hinges. The drawer boxes are constructed in solid oak with oak veneered MDF bottom, and are finished with hard-wearing clear lacquer. 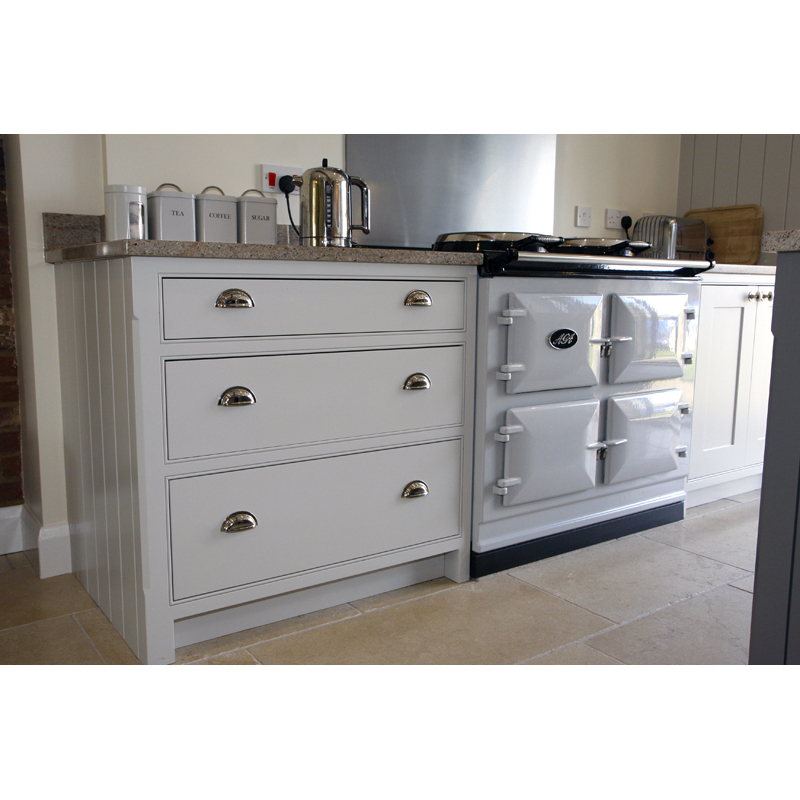 All the drawers run on high quality, full extension, soft close runners. The top two drawers are divided with oak divides – so one section for for cutlery, and one for utensils. 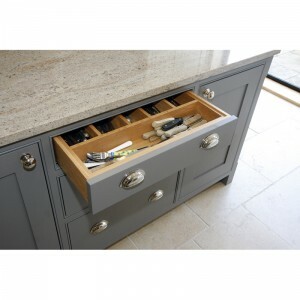 The plinths have been constructed in moisture-resistant MDF, and all the cabinets sit on high quality, plastic adjustable feet. All the carcassing has been constructed in oak effect, melamine-faced MDF with a biscuited and carcass screwed construction. The higher level cabinets feature a large and attractive cornice detail. 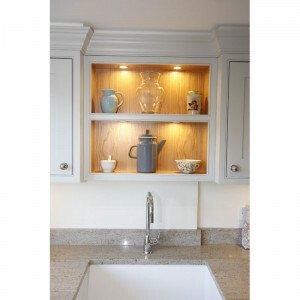 The open cabinets are made in oak veneered MDF and all finished with hard-wearing clear lacquer. Materials: Maple, oak and granite (worktops).